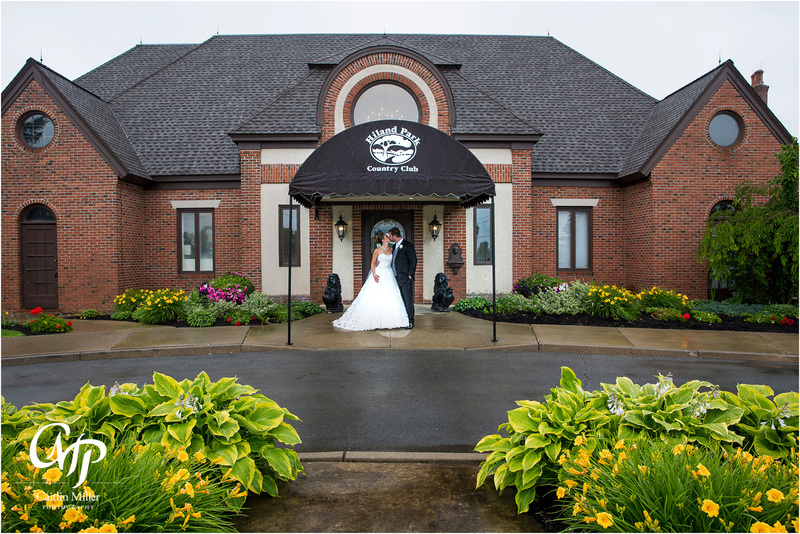 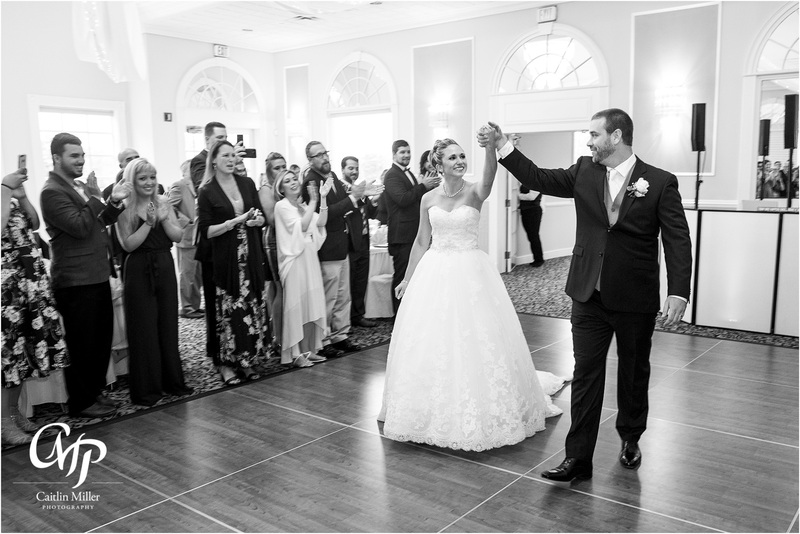 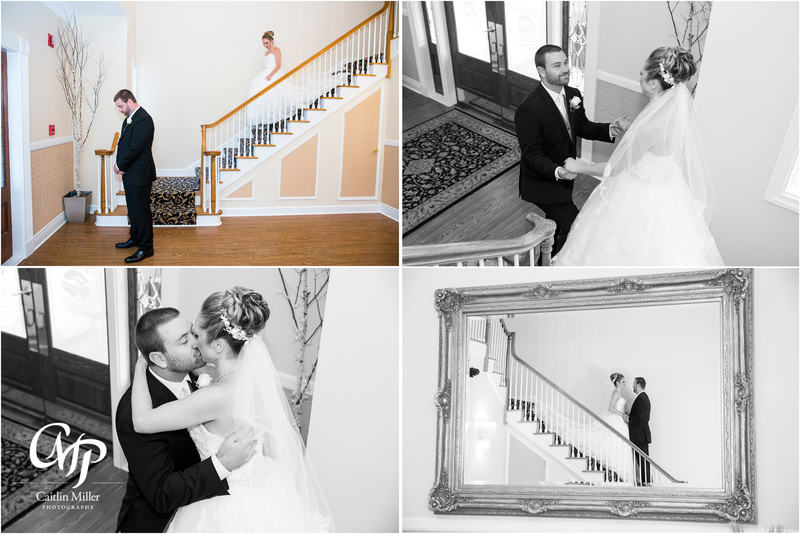 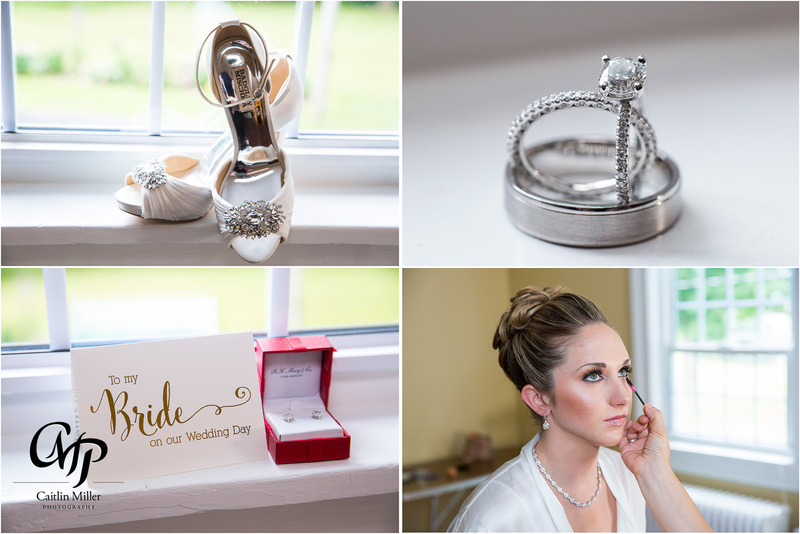 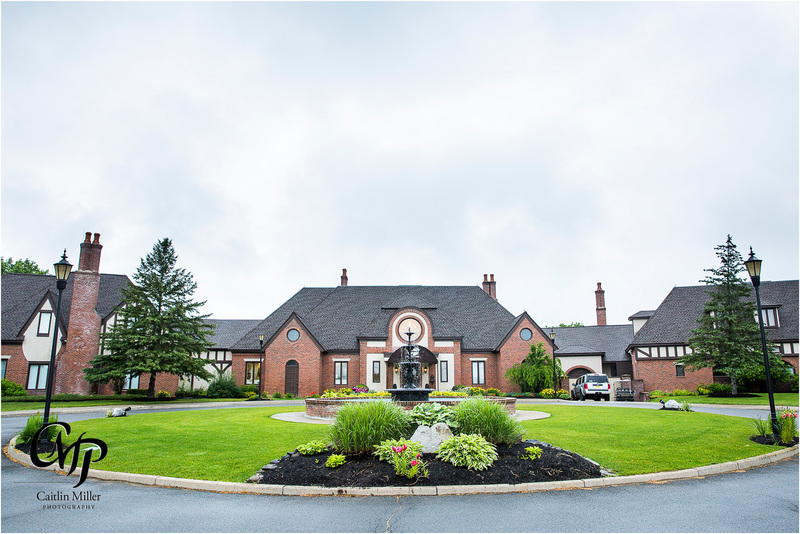 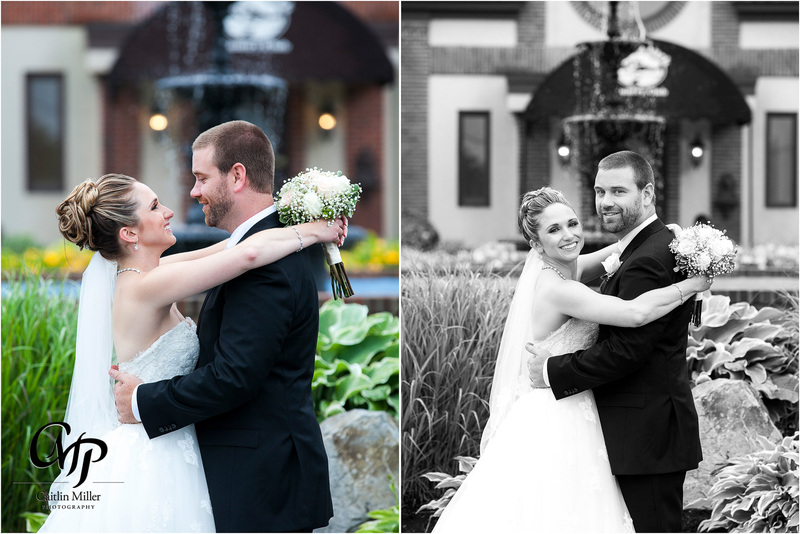 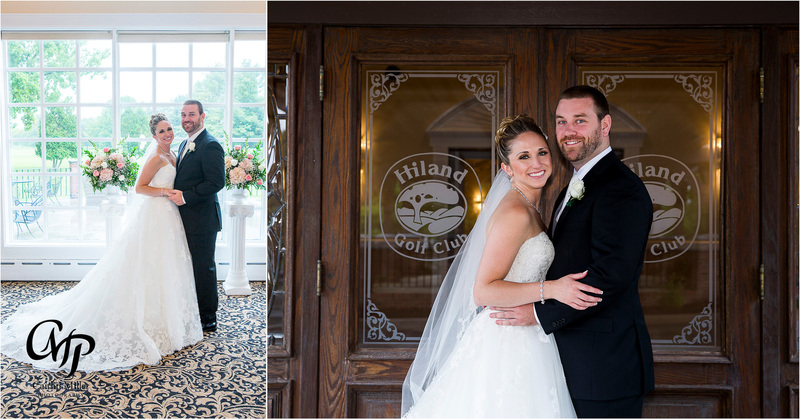 Elizabeth and Tim’s rainy summer wedding day began down the street from Hiland Park Country Club at Elizabeth’s family home. 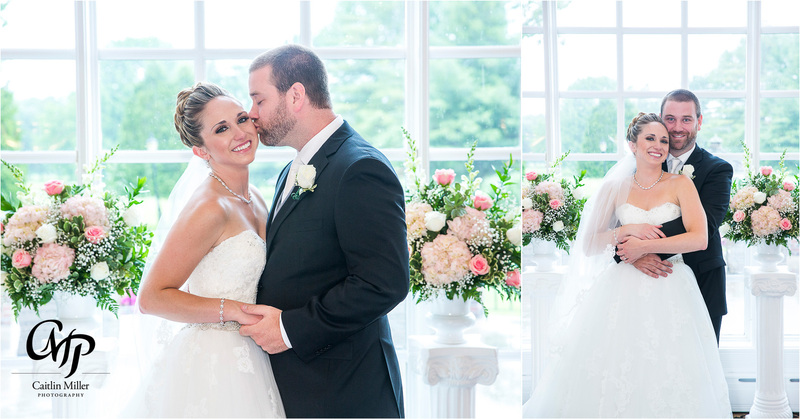 The bride and bridesmaids had their hair and makeup done to fun 90’s tunes by Glam Me Up Down the Aisle. 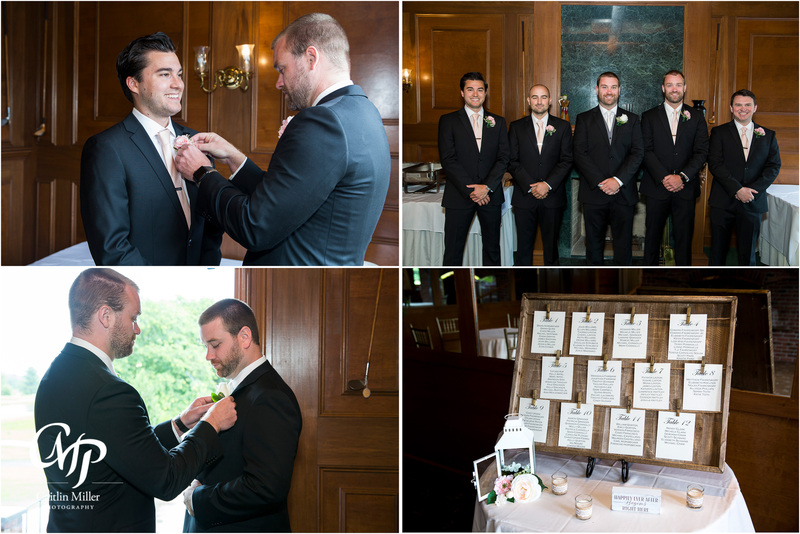 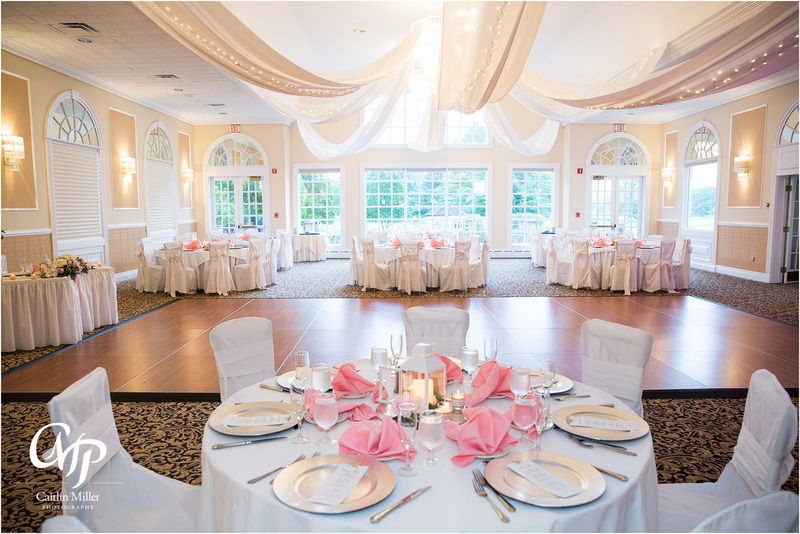 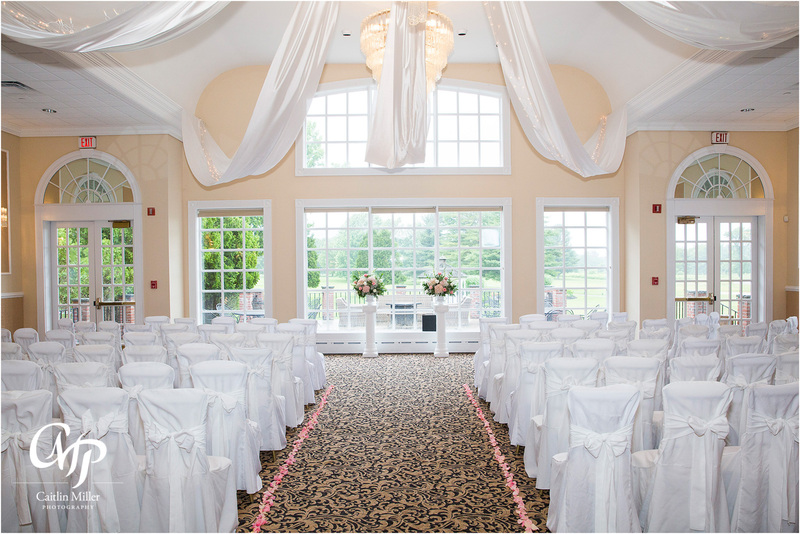 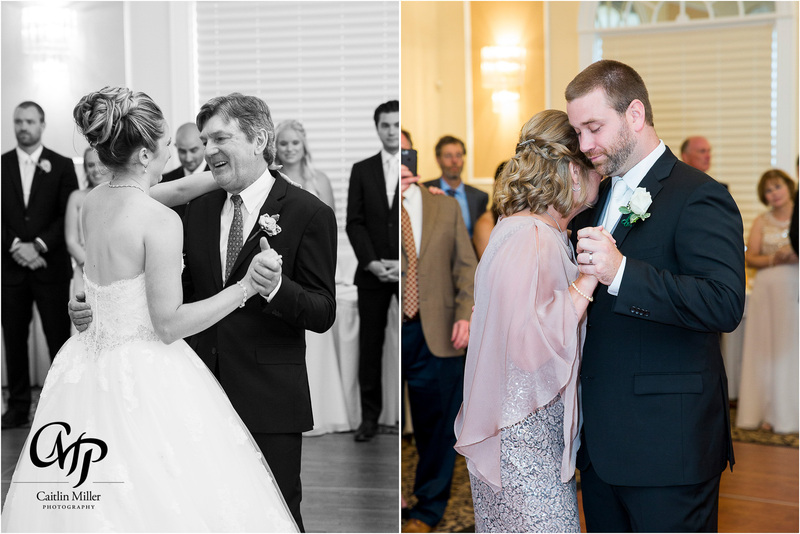 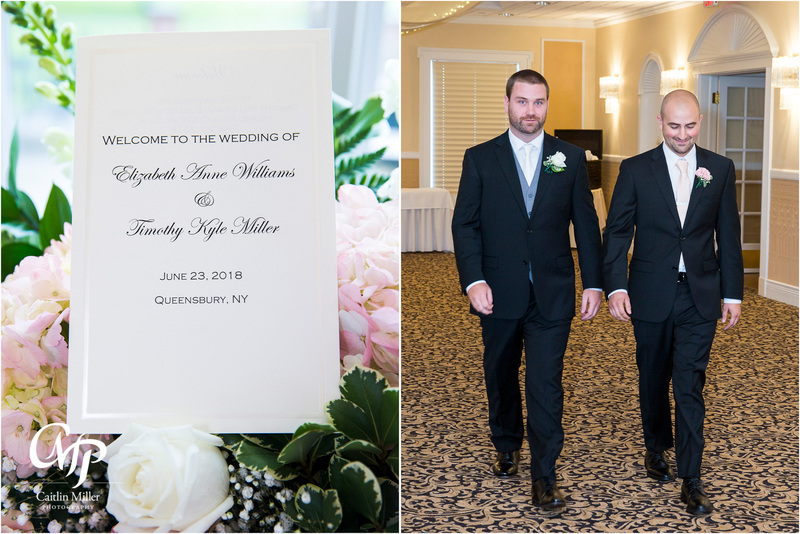 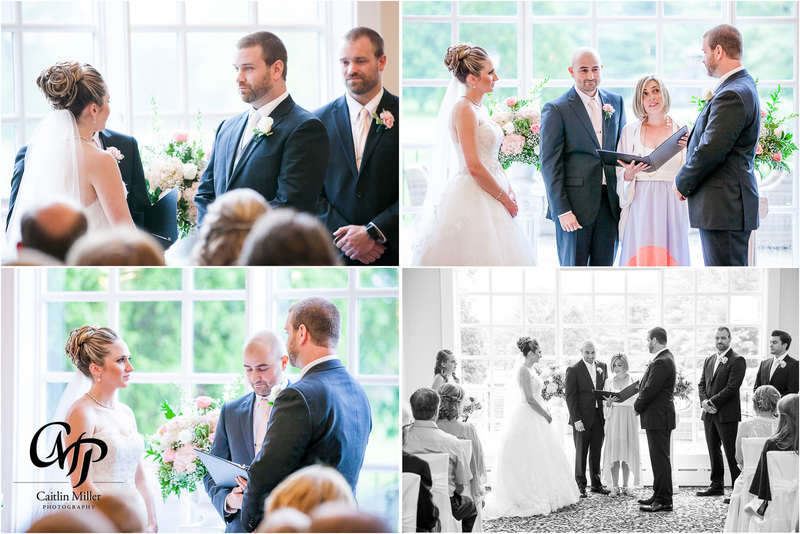 Tim and the groomsmen got ready at Hiland Park Country Club and oversaw the setup of Hiland’s beautiful ballroom. 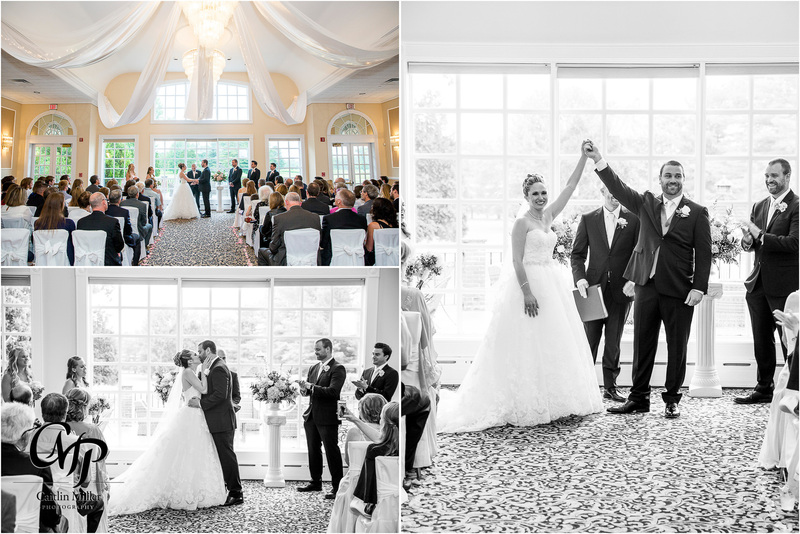 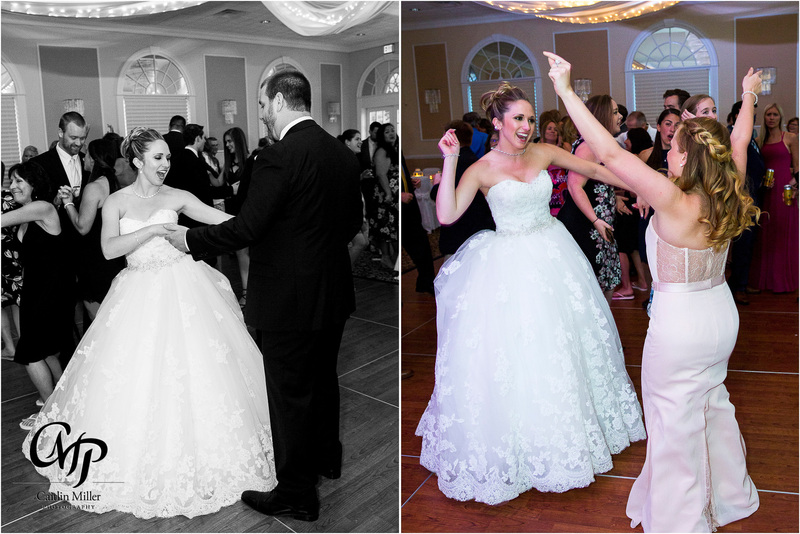 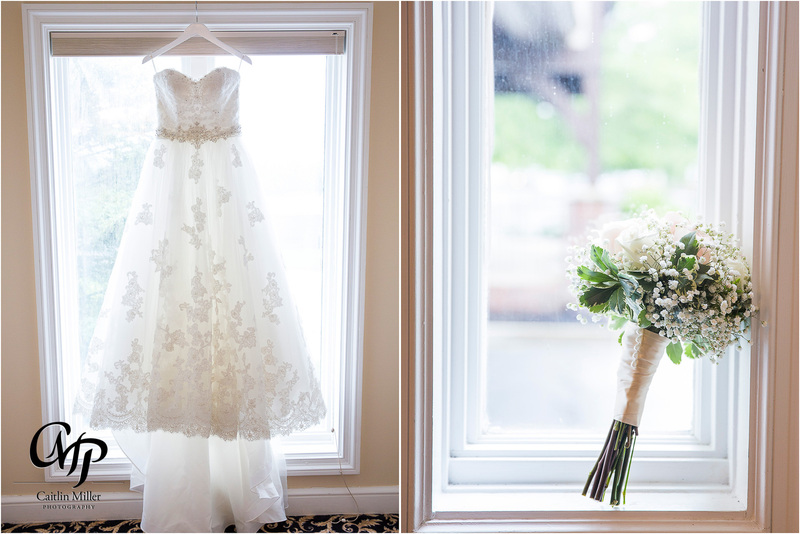 The bride slipped into her lace accented ballroom before sharing a sweet first look with her groom. 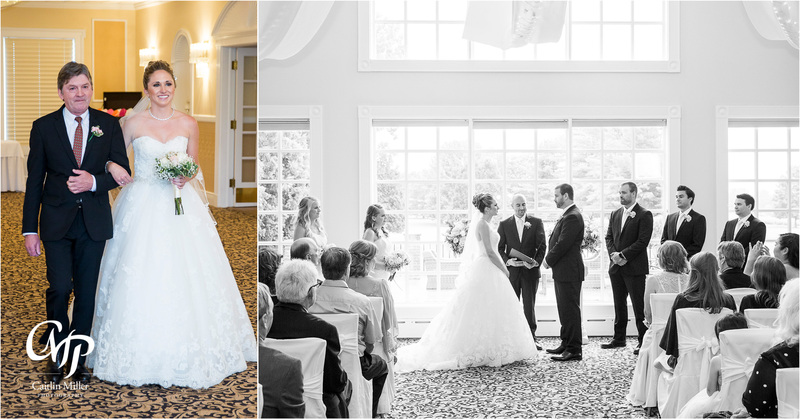 After nerves settled, the couple walked down the aisle and shared an intimate wedding ceremony with friends and family. 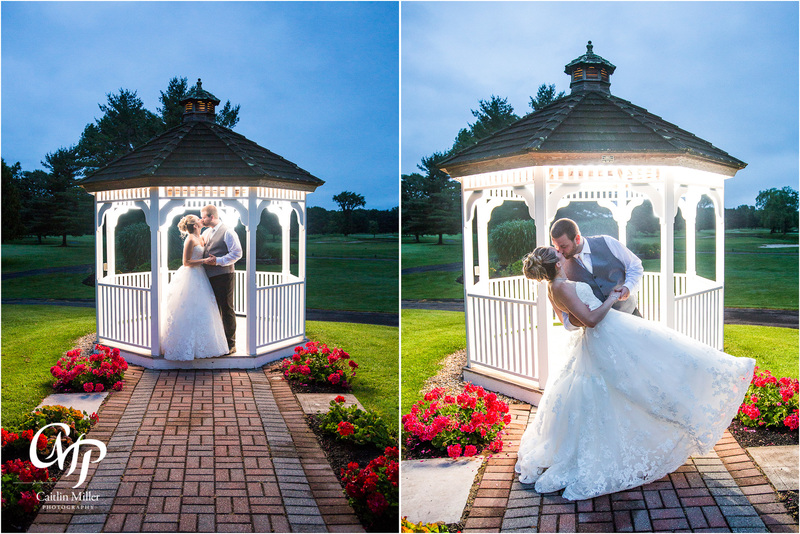 The rain let up just in time for some formal photo outside before the couple entered their reception for the first dance. 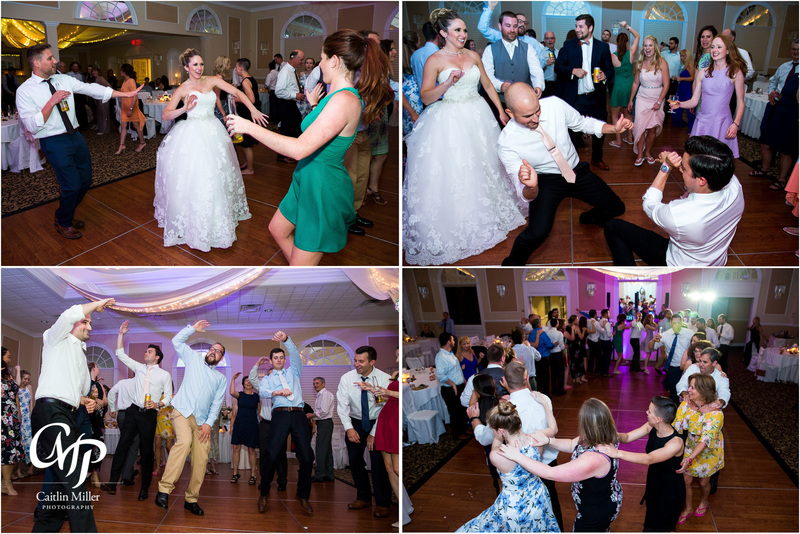 Parent dances and speeches followed before DJs Mark and Mike from Total Entertainment really got the dance floor going. 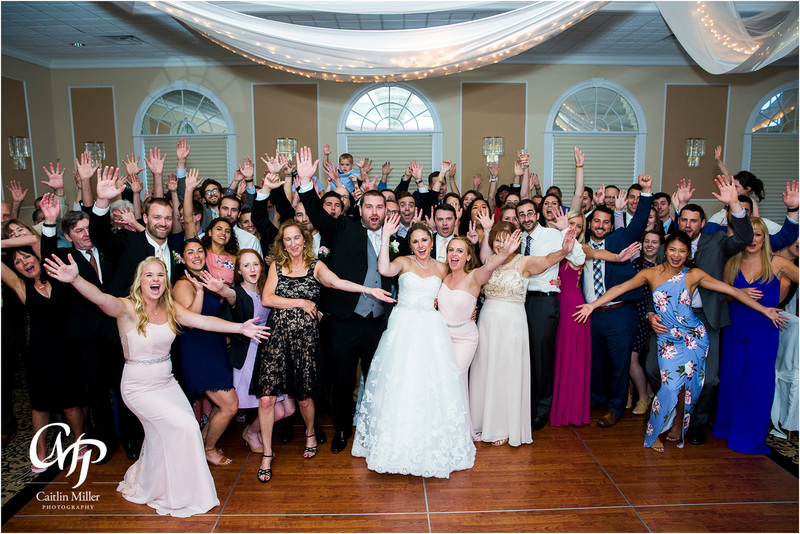 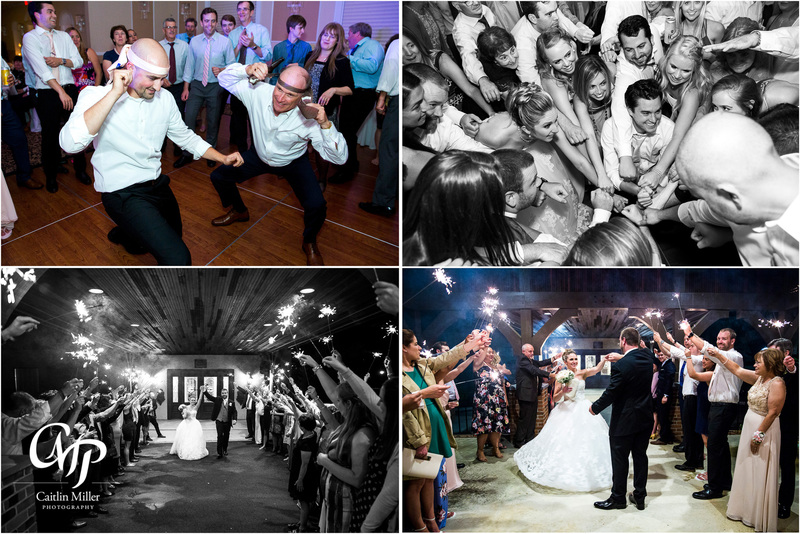 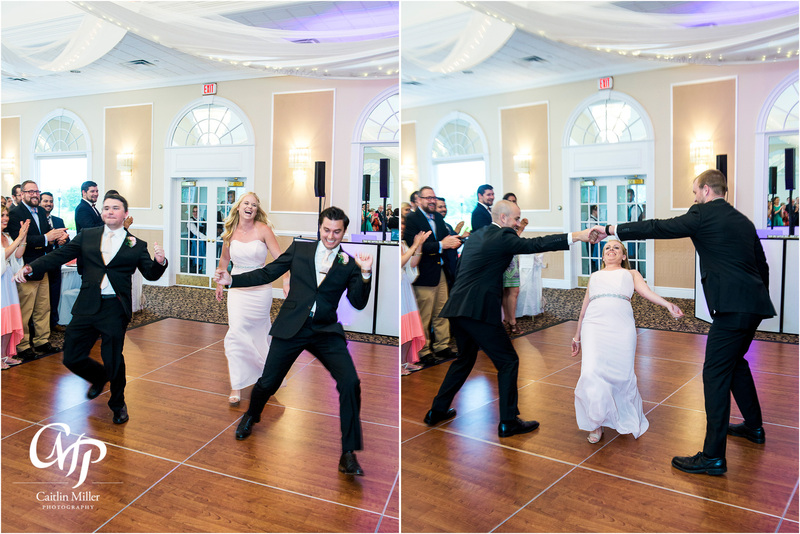 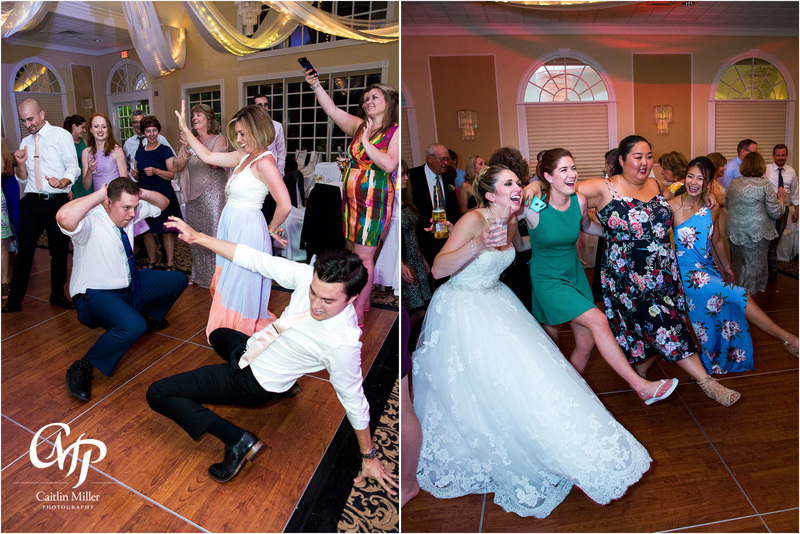 This group really came to party and brought all the best dance moves to the floor! 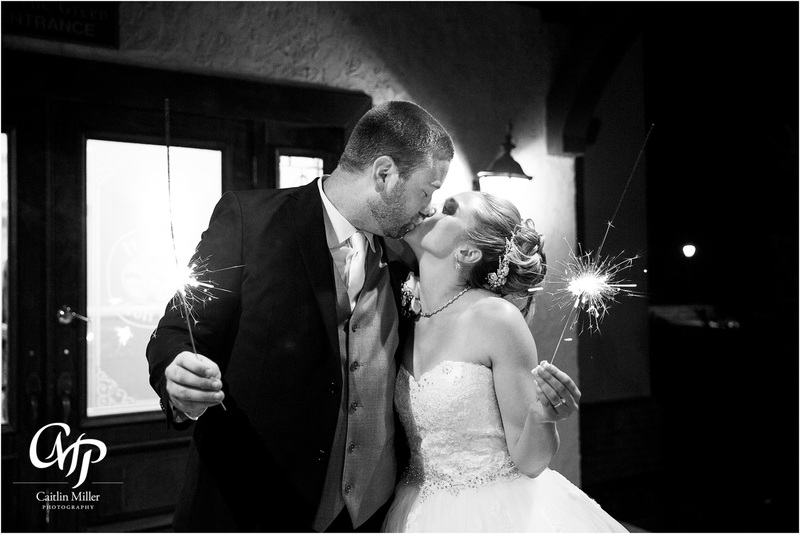 We finished the evening with some romantic night photos followed by a dramatic sparkler sendoff for the newlyweds. 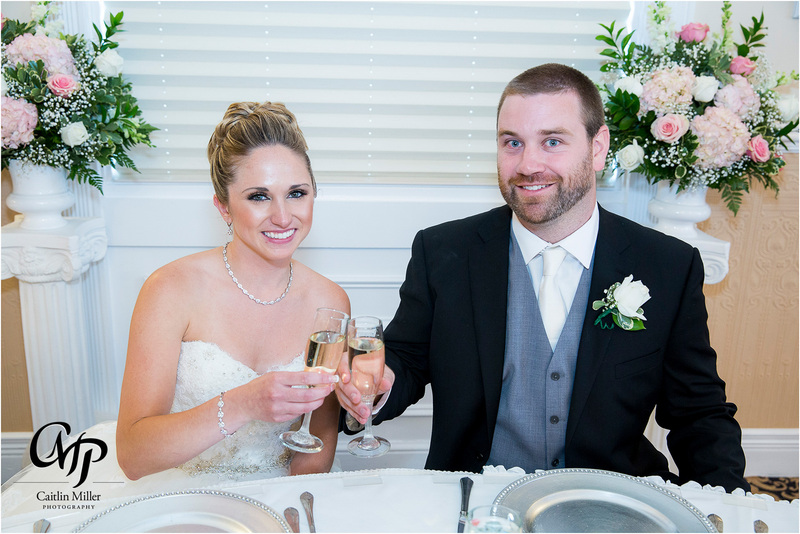 Best wishes to this perfectly matched couple!